Serve up these healthy and festive drink ideas for the holiday season! 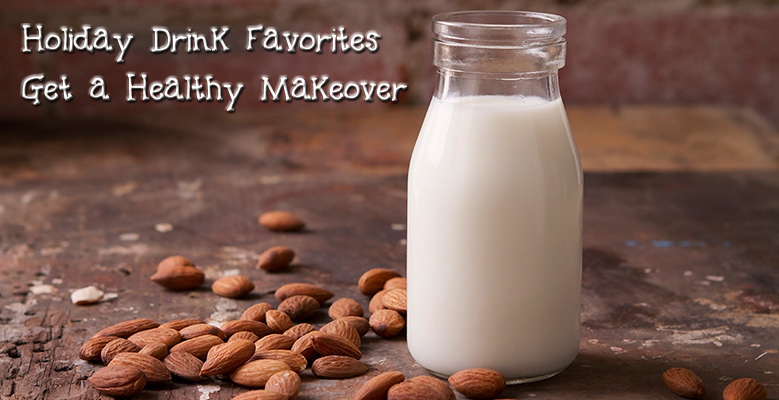 Here are two delicious ideas using the goodness of Almond Breeze® non-dairy almond milk. 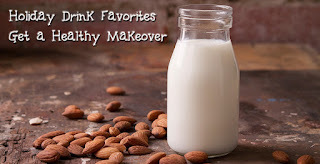 These tasty beverages will surely keep you and guests merry; and since almond milk is bursting with natural nutrients (Vitamin, A, D, and E), you don’t have to feel guilty! Plus, for those sensitive to gluten, the drinks are a perfectly delicious alternative. Almond Breeze® is available in Original, Vanilla and Chocolate at any Whole Foods or natural foods section in your grocery store. Over low heat, combine Almond Breeze® Vanilla, rum, brandy, almond extract, cinnamon and nutmeg in a medium saucepan, stirring constantly with a whisk until very warm. Pour into large mugs, leaving an inch of room to the top. Top with whipped cream, almonds and a sprinkle of nutmeg. Place the chocolate and cocoa in a mixing bowl. Heat Almond Breeze® in a saucepan. Pour over chocolate and cocoa and whisk well to melt and make frothy. Stir in vanilla. 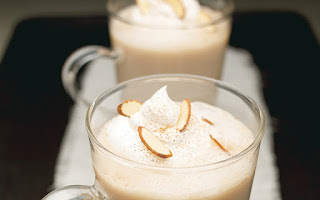 If available, use a hand blender or hand mixer to make it even more frothy on top. Pour into mugs and serve immediately. Dust with cocoa to garnish and serve with Chocolate-Covered Almonds. 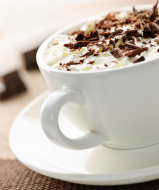 For more exciting holiday beverage ideas, visit http://www.bluediamond.com/.